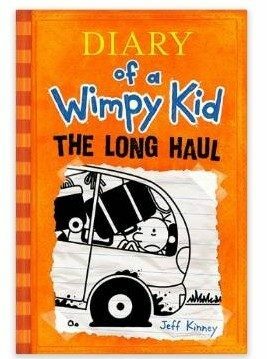 Diary of a Wimpy Kid: The Long Haul Hardcover Only $4.88 + FREE Prime Shipping (Reg. $14)! You are here: Home / Great Deals / Amazon Deals / Diary of a Wimpy Kid: The Long Haul Hardcover Only $4.88 + FREE Prime Shipping (Reg. $14)! Grab this HOT book deal and stash it away for Christmas! You can currently snag Diary of a Wimpy Kid: The Long Haul Hardcover for just $6.98, HOWEVER, use coupon code HOLIDAY30 and get it for only $4.88 instead (reg. $14)!